Join us for a very special cocktail event with plenty of food, drinks and entertainment throughout the evening. We'll be awarding 20 women who've made a significant contribution to STEM and Innovation in WA - please scroll down to nominate yourself or a worthy woman you know for an award. Tickets are all inclusive and limited - don't miss out, this will surely be a night to remember. Everyone is welcome (all genders). 2018 marks 20 years since WiTWA was founded. We are celebrating this historic moment by recognising those who have embodied our mission: our champions for diversity and equality for women in Science, Technology, Engineering, Mathematics and Innovation in Western Australia. Whether that’s by breaking new ground in their career, or by mentoring women and encouraging them to pursue their non-traditional work, or by speaking out and acting against discrimination, we want to formally recognise the impact these unsung heroes have had and thank them for their contribution. You can read all about our fabulous nominees on our Nominees page! These awards aim to recognise the ‘unsung heroes’ that are breaking stereotypes through personal determination, technical strengths and leadership qualities that underpin their professional achievements. These women are worthy of the opportunity to be awarded. '20 in 20' Award. 20 WA women who have embodied our mission at some point in the last 20 years, chosen by our judges from eligible nominations made by the public. All nominations are entered toward this award. ‘First Among Equals’ Judges’ Choice Award. The shining star from among our 20 awardees, as selected by our judges. People’s Choice Award. A champion selected by community voting from the entire pool of eligible nominees (not just the ‘20 in 20’ group). Voting for the People's Choice Award will open in mid-September. Thank you to those of you who submitted nominations! We have been overwhelmed with the amazing role models in our midst. Congratulations to every one of you. Shortlisted nominees for the ‘20 in 20’ have received confidential notification of their standing and have been invited to attend the event on 3 November. WITWA recognise that we all follow different paths to success. Outlined below are some high-level criteria to structure the unique qualities of our nominees for award consideration. Nominations for the 20 in 20 awards to Western Australian women 18+ in age, (from executives to entrepreneurs to quiet achievers) who fit any one or more of the following criteria. Overcame business challenges with tenacity, determination and grit. Applied fresh, innovative approaches and pushed boundaries for better business outcomes. Delivered valuable business impact, locally, regionally and/or nationally. Consistently demonstrated exceptional, progressive leadership and encouraged diversity. Forged new and innovative pathways that demonstrated foresight and vision towards jobs of the future. Outwardly focussed on giving back to the community through their endeavours. Thank you to our amazing judges for volunteering their time to assess our nominations. The Department of Communities provides services to a diverse range of Western Australians, including people with disability, children who are in the legal care of the State and those who need a place to call home. Website. LinkedIn. SAP is at the centre of today’s technology revolution. The market leader in enterprise application software, SAP helps organisations fight the damaging effects of complexity, generate new opportunities for innovation and growth, and stay ahead of the competition. Website. Facebook. Twitter. Instagram. LinkedIn. Woodside are Australia’s most experienced LNG operator and largest independent oil and gas company. Our proven track record and distinctive capabilities are underpinned by 60 years of experience, making us a partner of choice. Website. Facebook. Twitter. Instagram. LinkedIn. Accenture is a leading global professional services company in Australia providing a range of services & solutions in strategy, consulting, digital, technology and operations. Website. Facebook. Twitter. Instagram. LinkedIn. Accelerating Commercialisation provides access to expert guidance and grants to help businesses commercialise their novel products, processes and services. Accelerating Commercialisation offers Commercialisation Guidance, Accelerating Commercialisation Grants and Portfolio Services to successful applicants. Website. Twitter. LinkedIn. Amazon Web Services. Whether you're looking for compute power, database storage, content delivery, or other functionality, AWS has the services to help you build sophisticated applications with increased flexibility, scalability and reliability. Website. Facebook. Twitter. Instagram. LinkedIn. Hexagon Mining are the only company to solve surface and underground challenges with proven technologies for planning, operations, and safety. We bring surveying, design, fleet management, production optimisation, and collision avoidance together in a life-of-mine solution that connects people and processes. Our customers are safer, more productive, and can make sense of their data. As champions of smart change, we recognise that our customers; competitive edge depends on integrating, automating, and optimising critical workflows for a life-of-mine solution. Website. Facebook. Twitter. LinkedIn. ImpRes are a team of operational improvement consultants passionate about driving improvement in any situation, organisation or industry. With expertise and experience in engineering, business improvement and operational leadership, whatever the improvement challenge, we work with our clients to deliver positive and sustainable change. Website. LinkedIn. Optika Solutions is an Australian software product and solutions development company. Our focus is on developing apps and platforms that make the best use of data to give insight and value. Website. Facebook. Twitter. LinkedIn. SEQTA is an all-in-one collaborative teaching and learning ecosystem. By bringing together multiple information sources into one easy-to-use LMS, SEQTA liberates teachers from labour-intensive, disparate and fragmented software or paper-based systems. Website. Facebook. Twitter. LinkedIn. 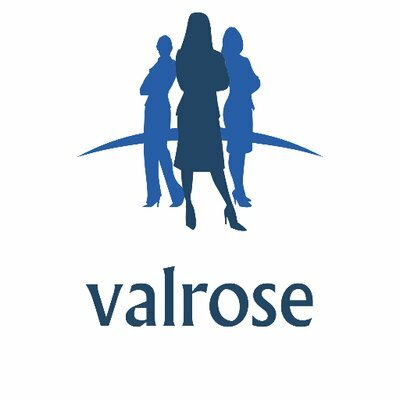 Valrose is a Technology Recruitment company. Our mission is simple; to add value to every company and person we work with. As recruitment experts, we truly understand the responsibility that comes with connecting the right employees with the right employers. We genuinely care about our candidates and clients. We listen, we understand, we solve. Website. Facebook. Twitter. Instagram. LinkedIn. Red Piranha is an Australian enterprise that engineers and manufactures advanced security products for Managed Service Providers (MSP) and enterprises to give them an advantage in fighting off cyber-crime, intrusion attempts and in securing their data to meet modern compliance requirements. Our crown jewel, Crystal Eye, is a unified threat management platform designed to be easy enough for enterprises to use and powerful enough for MSPs to see as a major game-changer when compared against the top products in the industry. Website. Facebook. Twitter. LinkedIn. Interested in sponsoring this historic event? Please visit our About WITWA page for more information about our vision.